Republican U.S. Senator Jim Inhofe has defeated a Democratic challenger and three independents, securing another six-year term in office. Inhofe is positioned to become the chairman of the Environment and Public Works Committee. 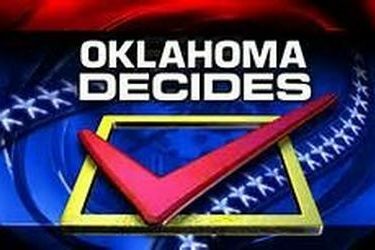 Republican James Lankford has won election to the open U.S. Senate seat in Oklahoma being vacated by Doctor Tom Coburn. Republican Congressman Frank Lucas has won re-election to an 11th term in Congress. Mary Fallin has won her second four-year term as Governor of Oklahoma after defeating Democratic challenger Joe Dorman. Fallin received 56 percent of the vote, defeating Dorman who received 41 percent. This will be Fallin’s second, four-year term in office following a two-decade career in politics that included stints in the Oklahoma House, as lieutenant governor and two terms in Congress. Republican Lieutenant Governor Todd Lamb has won a second four-year term as the state’s second-in-charge. Former state Board of Education member Joy Hofmeister has become only the second Republican since statehood to be elected as Oklahoma’s top schools chief. Oklahoma voters have passed a measure expanding a property tax exemption to surviving spouses of military personnel killed in the line of duty. The measure allows the surviving spouse of a military member killed in the line of duty 100 percent exemption for the fair cash value of the homestead until the surviving spouse remarried.